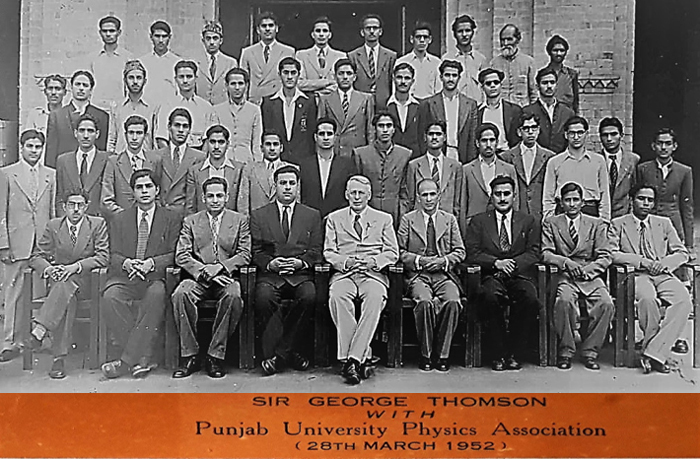 An old photograph of Sir George Paget Thomson (Physics Nobel Laureate 1937) with members of Punjab University Physics Society at Department of Physics, University of the Punjab, Old Campus, Lahore dated March 28, 1952, Sir George Paget Thomson is seated in the centre, on the left are seated Dr. Abdul Majid Mian and Dr. Abdul Basir Pal and on the right are seated A. H. Beg and Dr. Abdus Salam (Physics Nobel Laureate 1979). Physics is being taught in the Province of Punjab as early as 1877. A Department of Science was established in 1877 at Government College Lahore, five years earlier than the establishment of University of the Punjab, in 1882, in British India. This Department later on became the combined Department of Punjab University and Government College Lahore. A distinguished physicist Mr. J. Campbell Oman was appointed as the first Professor of Natural Sciences in 1877 in the same Department and he continued to occupy the post until his retirement in 1897. 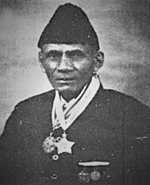 One of his students, Mr.Ruchi Ram Sahni joined the Department as an Assistant Professor of Science in 1885. 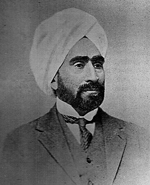 Professor J. C. Oman and Professor Ruchi Ram Sahni founded “The Punjab Science Institute (PSI)” in 1886. The main purpose of the PSI was to promote the cause of scientific learning, practical education and popularization of science in the province of Punjab. Professor Sahni delivered over five hundred popular science lectures in Punjabi and other native languages throughout Punjab. The names of Professor J. C. Oman and Professor Ruchi Ram Sahni are held in high esteem as distinguished scientists of early years of Punjab University, and also as pioneers of popular science in subcontinent particularly in Punjab. After the retirement of Professor J. C. Oman in 1897, Mr. Arthur Stanley Hemmy (BA St. John’s College, Cambridge) was appointed as Professor of Science in 1898 in the Department of Science and he held the combined Chair of Physics and Chemistry till 1906. Professor A. S. Hemmy became Professor of Physics in 1906 and Professor Bernard Mouat Jones (MA Balliol College, Oxford) was appointed as Professor of Chemistry in the same year. The Department of Science was divided into two independent Departments. The Department of Physics got its separate identity and was founded in 1906 and Prefessor A. S. Hemmy was appointed as first Professor of Physics and head of Department of Physics. The Department of Chemistry was also founded in the same year and Professor B. M. Jones was appointed its head. In 1913, Professor B. M. Jones left Punjab University to join Imperial College of Science and Technology, London and later to become Vice Chancellor of University of Leeds, England. A Physics Society (Jones Physics Society) was founded after the name of Professor B. M. Jones, in 1926, because of his efforts to popularize the subject of Physics. 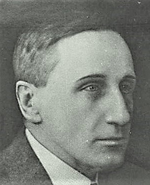 Professor Hemmy continued to serve as Professor of Physics until his retirement in 1923. 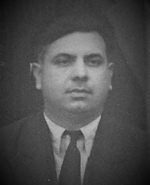 Professor Hemmy also served as Principal of Government College Lahore from 1919 to 1927. 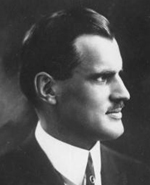 In the academic year 1926-1927, Arthur Holly Compton (Nobel Laureate in Physics 1927) came to Punjab University, Lahore as a Simon Guggenheim fellow and as a lecturer where he began his studies on cosmic rays. 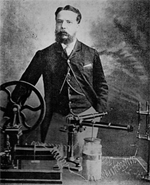 He planned a scientific Expedition in Kashmir to study the effects of altitude and latitude on Cosmic Rays. The expedition included Professor James Martin Benade (Professor of Physics at Forman Christian College Lahore) and Dr. Nazir Ahmad (a PhD student of Ernest Rutherford at Cambridge who later on became the First Chairman of Pakistan Atomic Energy Commission in 1956). In 1932, an astronomical observatory was established at the University of the Punjab and it was operated by the Department of Physics. This is the oldest observatory in Pakistan and is now operated by the Department of Space Science of University of the Punjab. 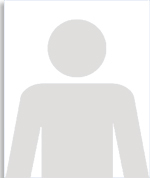 Before 1947, the notable faculty members of Physics Department include the names Professor J. B. Seth, Professor Rafi Muhammad Chaudhuri, Professor P.K. Kichlu, and Professor B. M. Anand. In 1934, Punjab University introduced Honours School in Physics and BSc (Hons) and MSc (Hons) classes in Physics were started. After partition of subcontinent in 1947, the Department of Physics of Punjab University got separated from that of Government College Lahore. 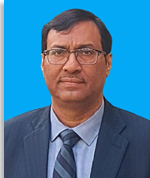 Professor Dr. Abdul Majid Mian was appointed as Chair of Physics. 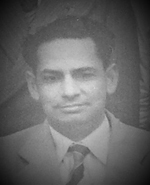 Afterwards, Professor Abdul Basir Pal was appointed as Chair of Department until his retirement in 1970. The Department of Physics was shifted from Allama Iqbal Campus (Old Campus) in the year 1965 to Quaid-i-Azam Campus (New Campus). The Department of Physics has produced graduates and researcher who later on became distinguished scientists and academicians. 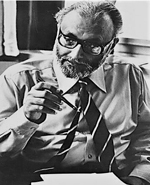 Professor Rafi Muhammad Chaudhry (Eminent Pakistani Nuclear Physicist and founding director of High Tension Laboratory established in 1952 at Government College Lahore) was appointed as Emeritus Professor of Physics in 1977. The Department of Physics offers research as well as taught degree courses in the subject of Physics. The Master of Science (MSc) two years program is the oldest program of the Department. A research degree program leading to a PhD degree in Physics existed since 1940s. In 2002, the Department of Physics started Bachelor of Science (BS) four years program, Master of Philosophy (MPhil) two years program, regular PhD program in the subject of Physics. To produce well prepared graduates capable of understanding pure and applied physics and confident about their abilities to undertake challenging tasks and research projects. To provide students with rigorous and comprehensive training in the subject of Physics in order to develop in them creativity, precision in thinking and analytical skills. To prepare students as professionals, citizens and good human beings. To develop scientific knowledge and skills needed to begin a career in academia and industry. The department also provides enabling environment and infrastructure for optimum utilization of potential of faculty, staff and students.